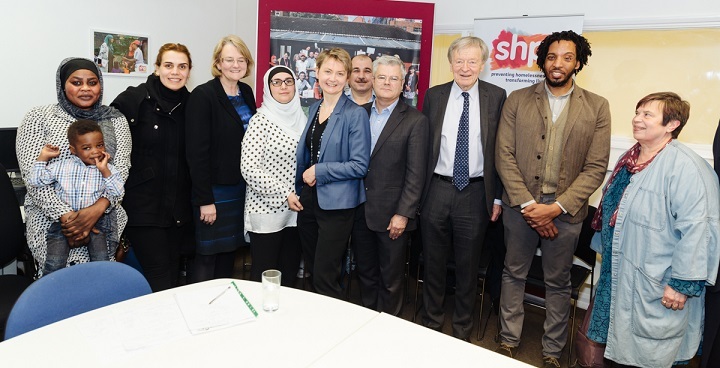 I was delighted to welcome Lord Alf Dubs and Yvette Cooper MP to Lambeth last week to meet refugee families and to discuss the work we have been doing to resettle and support people fleeing the Syrian civil war. Lambeth is an open, tolerant and compassionate borough and I am proud that we have been at the forefront in supporting refugees fleeing conflict in the Middle East. Over the past few years Lambeth has shown national leadership by taking in 23 refugee families, finding homes and safe shelter for over 100 people who are now part of the Lambeth community, under the Syrian Vulnerable Person Resettlement Scheme (VPRS) and under the linked Vulnerable Children Scheme (which includes families from the wider Middle East and North Africa). Our work has been made possible by the tireless efforts of community groups including Lambeth Citizens, helping to find properties from outside the social housing sector for the families. The borough also has a network of support groups that Syrian refugees have been able to rely on while dealing with the trauma of leaving a war zone with nothing, and starting life from scratch in a new country. In recognition of our work, Lambeth has recently been awarded a grant to help us recruit and train more foster carers well suited to looking after Unaccompanied Asylum Seeking Children (UASC). The law to support unaccompanied children was made possible by the leadership of Lord Alf Dubs with the ‘Dubs Amendment’. However, the government has been dragging its feet on the implementation of the law. Both Lord Alf Dubs and Yvette Cooper MP, Chair of the Home Affairs Select Committee, have played leading roles in pressuring the government to take action. 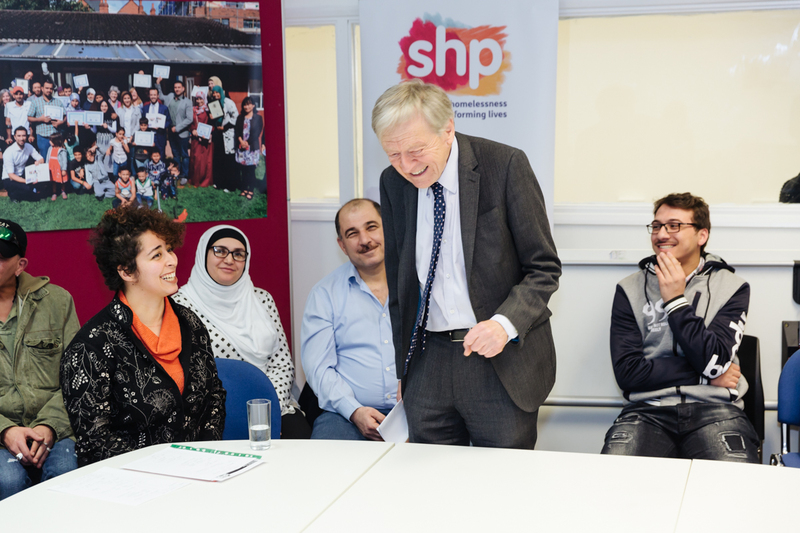 Following the inspiration leadership of Lord Dubs, Lambeth Labour has been forefront in campaigning for the UK to welcome Syrian refugees and unaccompanied children. Cllr Paul McGlone, the council’s Deputy Leader, visited the Calais refugee camp in August 2016 and called on the government to do more to support people fleeing conflict and live up to its past record of helping those most in need. We’ve pledged to keep helping those fleeing appalling violence, by welcoming five more refugee families to Lambeth over the next couple of years and continuing to work with our partners to do our bit to help tackle the refugee crisis. Lambeth has a proud history of welcoming those in need, and we’re proud to do our bit to continue that tradition.